The List are partnering up with the Ideal Home Show Scotland to offer you the chance to win a pair of free tickets to their weekend show. 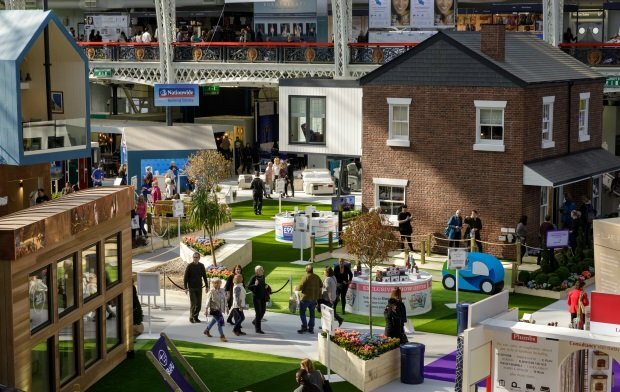 Returning to Glasgow’s SEC from Fri 24 to Mon 27 May, the Ideal Home Show Scotland is set to be the best yet. Showcasing the latest interior trends, home renovation, DIY, gardens and technology, the exhibition is the largest of its kind in Scotland. With four show areas packed with ideas and 400+ brands, there will be plenty of choice from must-have accessories and furniture for your living room, to state-of-the-art solutions for kitchens, bedrooms and bathrooms. Wander through four Roomsets to find inspiration for decorating projects and head over to the Show Gardens, sponsored by Erskine for new ideas for your exterior spaces. Property and interiors experts including Scots favourite John Amabile, David Domoney and Nick Knowles will answer questions on the Super Theatre stage. Top chef Rosemary Shrager and drinks expert Olly Smith will also be sharing all things food and drink. Plus, get two shows under one roof with the Eat & Drink Festival making a welcome return. The festival is set to tempt the tastebuds with masterclasses, along with Scotland’s best produce and flavours at the Artisan Producers' Market. To claim your free tickets, simply enter the code LIST19 when prompted on their website. If you miss out, you can still a great two-for-one deal by quoting LIST241. Offer closes on Mon 27 May or when all allocated tickets are claimed. Maximum of two free tickets per booking, per email, per household. Children under 15 go free. Tickets usually £16. Tickets subject to availability, on a first-come first-served print-at-home basis. Tickets are non-transferable, non-assignable and there are no cash alternatives. All tickets will be scanned upon entry. Multiple applications will be refused entry onsite. Open to UK residents only. A limited capacity telephone application service is available by calling 0844 854 2014. Calls cost 7p per minute, plus your company’s access charge. Usual terms of entry apply, see show website for details. The List's usual rules apply.